Achillea millefolium, commonly called common yarrow, is a rhizomatous, spreading, upright to mat-forming perennial that is considered by many to be an aggressive weed. Common yarrow from Europe and Asia was originally introduced to America in colonial times, and has since naturalized throughout the U. S. primarily along roadsides, fields, waste areas and lawns. These species plants are noted for producing deeply-dissected, fern-like, aromatic, medium green foliage and tiny, long-lasting, white flowers that appear in dense, flattened, compound corymbs (to 2-4” across) throughout the summer on stems typically rising 2-3’ tall. Foliage has a strong, somewhat spicy aroma that persists when used in dried arrangements. Species plants are uncommonly sold in commerce, however. It is the cultivars and hybrids of common yarrow, most of which have stronger stems, more upright habits and larger flowers, that have become popular flowering plants for ornamental gardens. Cultivars also extend the range of flower colors to include pinks, reds, creams, yellows and bicolor pastels. 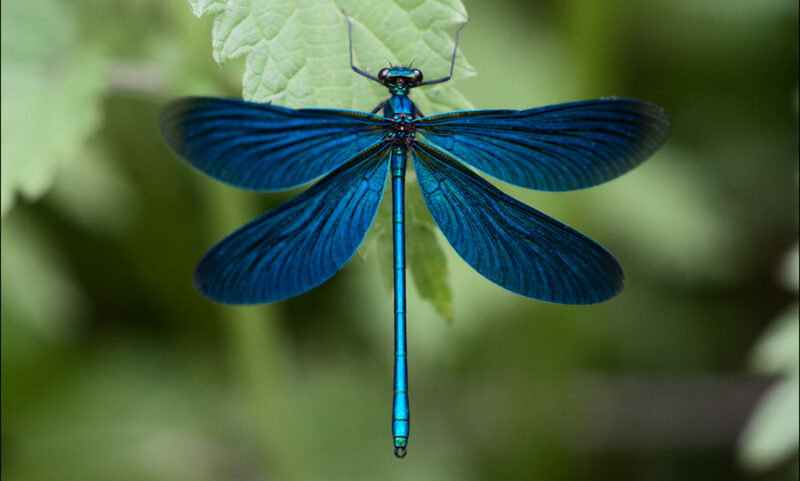 Plants are deer and rabbit resistant, attracts butterflies, drought resistant, fragrant foliage and flowers, and a summer bloomer. 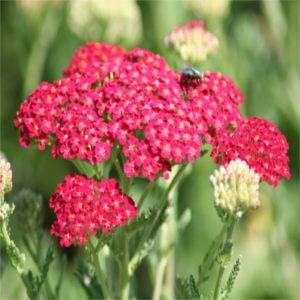 Achillea (Yarrow) are long-blooming, Old World perennials that are exceptionally easy-to-grow and provide ample nectar for butterflies. Red Velvet is one of the best with it deep rose-red, flat-topped flower heads that hold their color. Deep green, fine textured foliage, this yarrow is sure to attract butterflies wherever it’s planted. 24-36″ tall x 24-36″ wide. 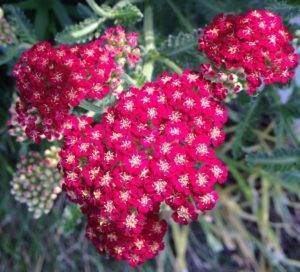 An improved hybrid Yarrow, ’Red Velvet’ is one of the very best. Its deep rose-red, flat-topped flower heads are fade resistant and hold their color. With deep green, fine textured foliage, this Yarrow is sure to attract butterflies wherever it’s planted. Here’s a tough, easy-to-grow, long blooming plant for your xeriscape. Most Soil Types Including Clay. A sterile variety. Deadhead for re-bloom; Prune Basal Growth in spring. 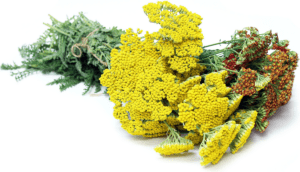 ‘Sunny Seduction’ is a naturally-occurring mutation of Achillea millefolium ‘Summer Pastels’ that was developed in the Netherlands by Dr. Elisabeth Sahin-Georgiadou and introduced by Blooms of Bressingham. It is part of the Seduction™ series and is sturdy and compact with a long blooming season. ‘Sunny Seduction’ has bright lemon yellow flowers that fade to pastel yellow as they age. It grows 1.5 to 2.5 ft. in height and 1 to 2 ft. in width. U.S. Plant Patent 20,808 issued March 2, 2010. A beloved favorite just got better. 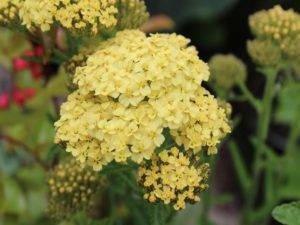 Saucy Seduction Yarrow offers intense color on a compact plant with strong, branched stems. Its intense fuchsia pink blooms lighten to medium pink and provide gorgeous color in the garden all summer long. Butterflies love it! This easy-to-grow perennial also makes an excellent cut flower for fresh and dried floral displays. 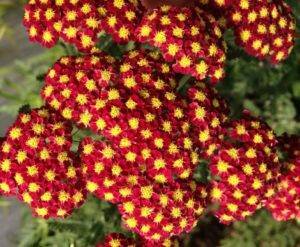 Saucy Seduction Yarrow is part of the Seduction Series known for intense color and compact habits. It’s an ideal choice for brightening cutting gardens, sunny perennial beds, prairie gardens and containers. Rabbits and deer tend to avoid. The Seduction™ Series of Yarrows were recently bred in the Netherlands. Plants are midsized and upright, with very uniform blooming over a long season. This selection has clusters of rich strawberry-red flowers, each with a tiny yellow eye. Excellent for cutting. Nice in the border and for massed planting. Deadheading faded blooms should encourage more buds to form over a long season. Next PostNext DOES PART SHADE AND PART SUN MEAN THE SAME THING?